London osteopathy, rehabilitation and sports massage, emergency osteopathy treatment. Pierre Meslet osteopath. At PhysiOsteo, we believe that early management of an injury is key to a fast and optimal recovery. We offer osteopathy treatments and rehabilitation in the comfort of your own home or in your office. Our aim is to provide our patients with easy access to treatment when they need it the most. They can start their customised rehabilitation program from day one, preventing injuries from recurring. Our philosophy is to combine the knowledge an​d expertise acquired from three manual therapies: osteopathy, rehabilitation and sports massage. PhysiOsteo offers a range of tailored services, adapted to our patients' immediate needs. Osteopathy techniques restore the body's balance and specific rehabilitation exercises optimise its function. Sports massage helps maintain overall dynamics between the tissues, thereby preventing injury. 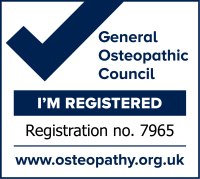 Copyright © 2015 PHYSIOSTEO Ltd. All rights reserved.